Over time your old garage door can take a terrible beating from the natural elements. 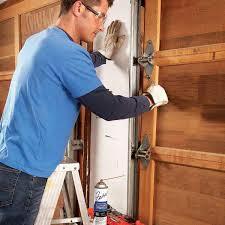 At Garage Door Repair Friendswood, we are prepared to install a beautiful new door quickly and effectively. Our experienced crew does not beat around the bush. We arrive promptly on time and get directly to work. The tools and products we need to complete the task are loaded into our service vehicles at the beginning of each day. We offer a wide array of garage doors to ensure you find the one you love. It is no wonder so many customers choose us for garage door installation in Friendswood, Texas. We offer trusted garage door installation service for your convenience. Don’t allow a hectic schedule to prevent you from improving the curb appeal of your garage. Whether the paint has faded and chipped or the door simply does not live up to your standards; we can replace it with a new product that will offer the quality style, design, and material you desire. There is no better company to turn to for new garage door installation than our team of highly-trained professionals. Why Choose Friendswood Garage Door Repair? The best reason to choose Friendswood Garage Door Repair for installation service is because the huge variety of products we offer. You may be enticed by a durable aluminum garage door. Many customers prefer this type, but others feel more comfortable with traditional wood or steel garage doors. There is no wrong choice; it all comes down to your preference and our specialists have the experience, training, and honed skills to install it per manufacturer standards. Whether you prefer craftsman garage doors or another brand; we have the right product for you. Improve the look and operation of your garage door. When you need professional Friendswood garage door installation service, give us a call and we will be there.